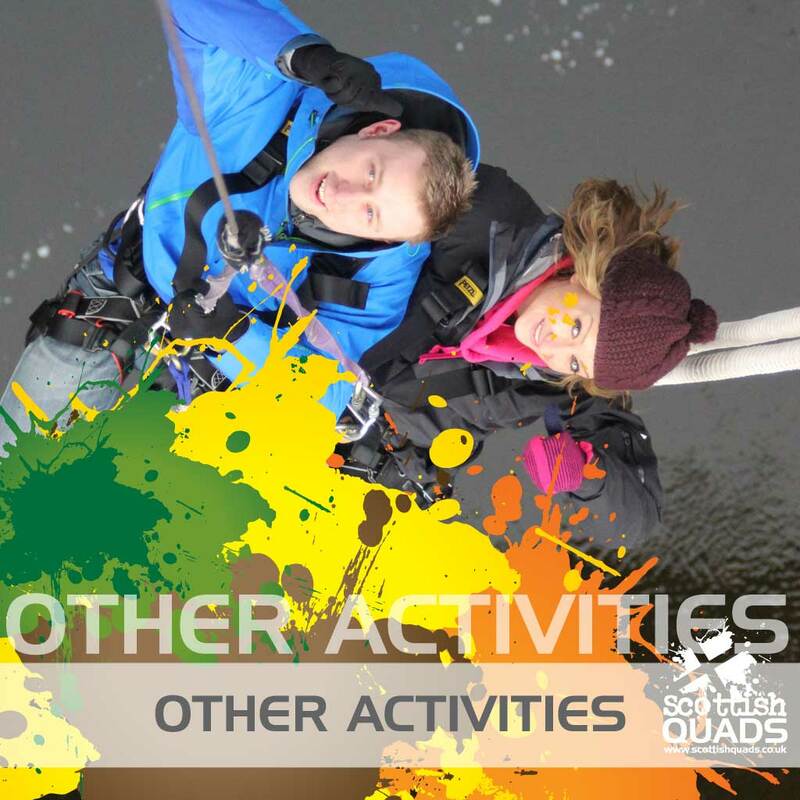 White Water rafting, Canyoning and River Bugging are all available locally, Perthshire really does have everything you could ask for in your quest for a full on day of outdoor activities. Scroll down to read more about riding the rapids, scaling the canyon and cruising in your very own River Bug. 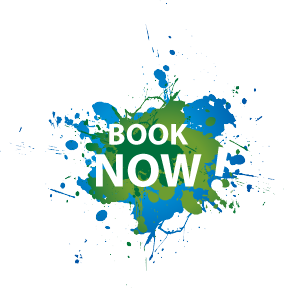 What better way to kick start your adrenaline levels than a White Water Rafting trip down one of Perthshire’s most stunning rivers with your mates as crew and a top class Rafting Guide at the helm. With different rivers available throughout the year we can help create the perfect trip. 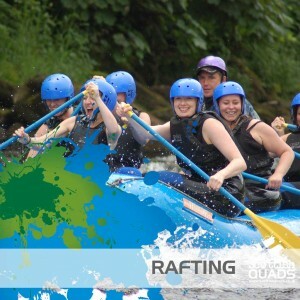 Whether you are a family group, perhaps some adventurous hens and stags or a corporate group looking for that ‘different’ day away, our White Water Rafting trips are a perfect choice. As White Water Rafting is a half day activity it is an ideal option as part of a multi-activity day. 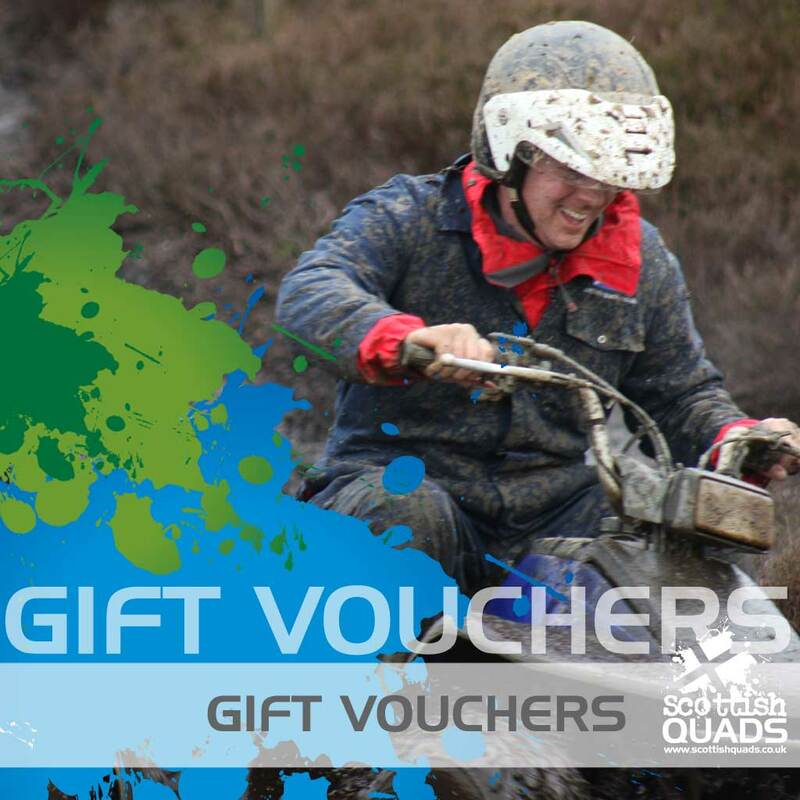 Perhaps you could try a morning of Quad Biking, Clay Pigeon Shooting or Paintball to get the adrenaline pumping before your afternoon riding the rapids – fantastic! Half Day White Water Rafting trips run all year round on various rivers throughout Scotland. 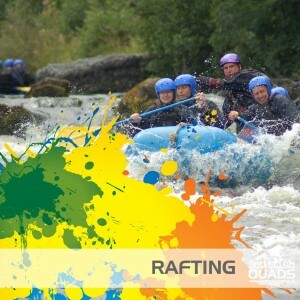 All safety equipment and river kit is provided as well as the expertise of your fully qualified Raft Guide. A brilliant trip for families or large groups looking for a splash and a swim. The River Tay trip is a 6 mile section of beautiful countryside with a number of splashes, dips and dives along the way, it is a perfect introduction to White Water Rafting. Suitable for kids from 8yrs. For all those adrenaline junkies out there, the River Tummel should not to be missed. A technical river full of tricky rapids will give your nerves a work out as well as your paddle technique. ‘Zig and Zag’, ‘Sharks Tooth’ and the nail biting 18ft Lynn of Tummel will give you a White Water Rafting experience that is hard to beat! Suitable for kids from 16yrs. A swimming costume, towel and old footwear to wear on the water. Care to dare? Scramble, slide and splash the day away in one of the fantastic Canyons on offer here in Perthshire. 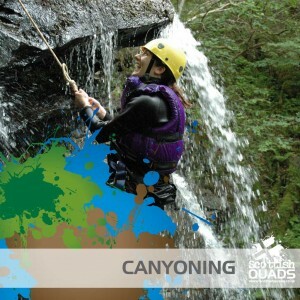 If you are looking for an activity that packs a punch, Canyoning is for you. 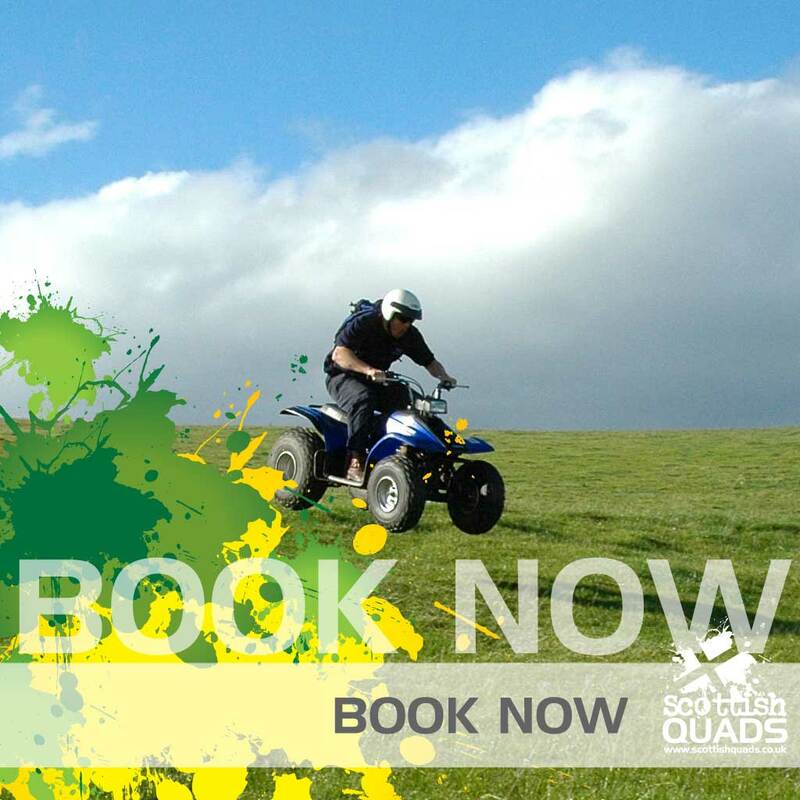 Great for groups, families with older children and all thrill seekers out there, this water based treat is a cracking way to up your adrenaline levels. Canyoning includes climbing, jumping, abseiling, swimming and scrambling, confidence in the water is required. Half Day Canyoning trips run all year round on various rivers throughout Scotland. 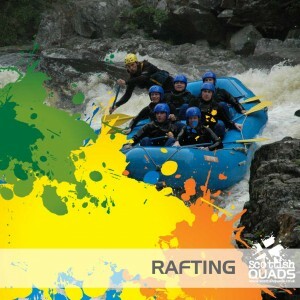 All safety equipment and river kit is provided as well as the expertise of your fully qualified Canyoning Guide. Suitable for kids from 12yrs. Take to the rapids your own inflatable arm chair… oops, River Bug! These unique crafts have come winging their way from New Zealand and are exclusively offered here in Perthshire. Wearing fins and webbed gloves you will manoeuvre the rapids single handed and enjoy the race of the river in your self powered machine. 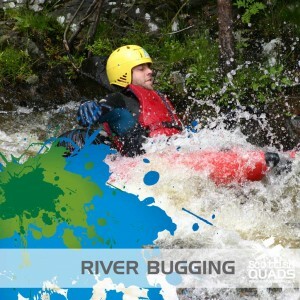 Fantastic for all, groups or families, Stags and Hens, River Bugs are an awesome way to get outdoors and try something new. Half Day River Bugging trips run all year round. All safety equipment and river kit is provided as well as the expertise of your fully qualified Guide.